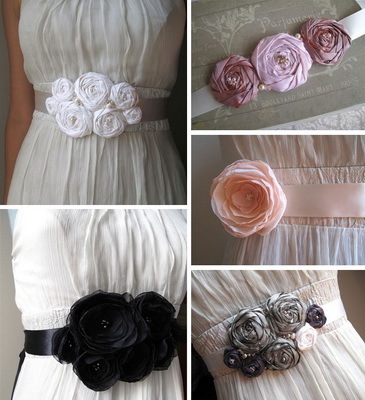 Bridal sashes and belts have been popular for a year or so now, usually as part of the design of a dress. Bridal gown sashes are also brilliant accessories for those of us who are more budget-conscious brides. Buying a beautiful embellished bridal gown sash or belt can mean raising a simple dress to a whole new level. Sharp-Straight body types have little to no natural curve; for this body shape embellished bridal sashes and belts that are three inches or wider are recommended. You may even want to consider a wide, dark colored ribbon as an option. Straight body types with a slight curve at the waist may opt for a medium sized bridal sash belt that creates a more defined waistline. Look for bridal gown sashes that feature a center embellishment that draw the eye inward. 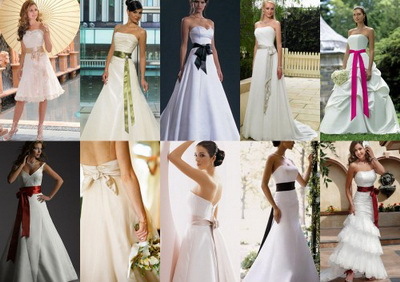 Soft-Straight body types, should try medium sized bridal sashes and belts to match their wedding gowns. Soft-straight body types wanting to wear a bridal sash belt have the perfect opportunity to create a dramatic drop waist effect with a sash belt. The second type of Soft-Straight features a more defined waist and larger bust. This is the perfect opportunity to highlight the smallest part of your body with a fun bridal sash belt that features non-traditional colors or perhaps a large flower. Stay away from wide bridal sashes and belts that will not make your waist look small. 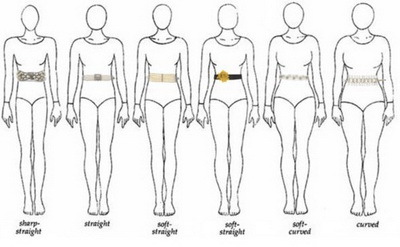 Soft-Curve body types lend themselves to smaller, less embellished bridal sashes and belts. 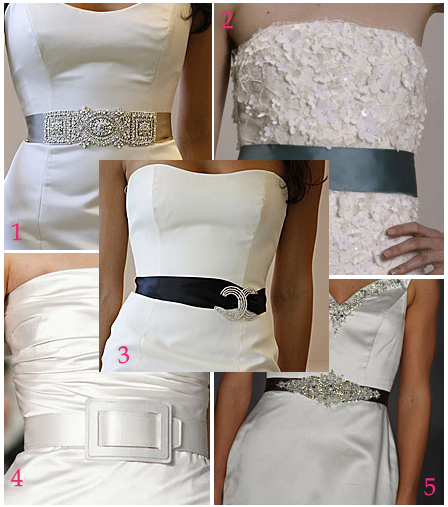 You do not want to make your waist look larger than it is by adding a thick bridal sash belt. Play up your natural curves by gently highlighting your waist with a more downplayed bridal gown sash. For Curved body types, look for medium bridal sashes and belts that will play up your dramatic hour glass figure. 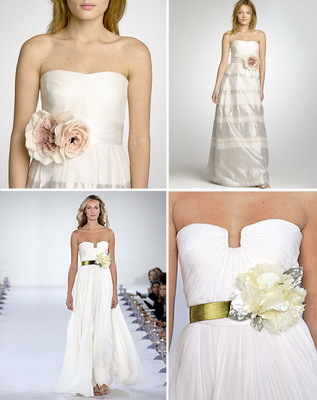 If you want to downplay it, choose an understated bridal sash belt with less embellishment. Stay away from small bridal sashes and belts, which will cut your body in half, as well as very wide bridal gown sashes, which may downplay your waist entirely. Colored bridal sashes and belts are a popular choice as they allow brides to customize the dresses that can be chosen for their special day. The bright colors are a great way to offset the style that comes from the vintage bridal gown and the lace that has been used to create the popular style. This way, you can add something modern to the classic style of gown. This is such a great post – I love the way you have taken a figure into account! The wedding sash can change an entire silhouette and also change the complete look of your wedding gown….I am just out and about perusing some great articles about bridal sashes!